Even More Shininess – and some Oscar! Just a quick heads-up to say that the December Extra from Shiny New Books is now live here! You wouldn’t think it would be possible to stuff any more wonderfulness into an online mag, but there’s so much to read I think it will keep me busy for ages! 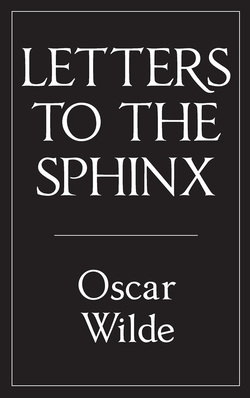 I was fortunate enough to be given the opportunity to review this excellent selection of essays by Oscar Wilde – it really is a joy and you can read my review here. Wonderfully enough, SNB has been able to reproduce Gyles Brandreth’s thoughtful introduction to the book and this is worth checking out too – go here! More Sparkly New Lovelies from Hesperus Press! This is a collection of three short works by Wilde – the title story, “Lord Arthur Savile’s Crime” and “The Sphinx Without a Secret”. Now I regard myself as a lover of Wilde’s prose, and I’ve read “Dorian Gray” plus some other works, but I actually don’t think I’d ever read any of these stories – which is shocking, because they’re absolutely wonderful! “Canterville” of course is very famous and has been filmed. It tells the story of the American Otis family who buy Canterville Chase, an old English stately home. They are warned that the house comes with its own ghost, but being rational people from the new world, they don’t believe in such spookery, and take the house regardless. It isn’t long before the titular ghost makes his appearance, but unfortunately the Otises are not to be easily rattled – unlike the ghost’s chains, the squeaking of which is met with a request for him to oil him! Likewise, the bloodstain on the floor every morning is removed with a patent cleaner, and if that wasn’t bad enough the young Otises start to play tricks on the ghost, frightening him more than he can possibly hope to do to them! However, this being Oscar, there is a slightly more serious story behind things. Young Virginia, the 15-year old daughter of the Otis family, befriends the sad ghost and finds out the story behind his haunting. Can she help him and free the house at the same time? The last story is a slighter tale about a woman with a seeming mystery around her which turns out not to be the kind that you might expect. 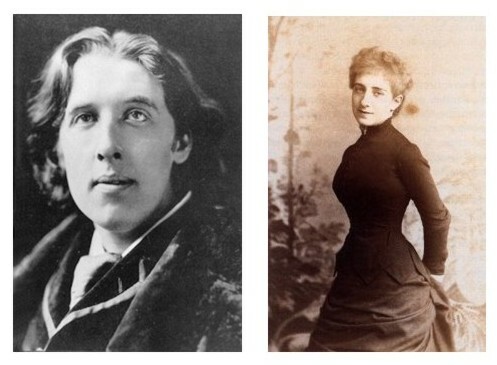 These three stories are just wonderful, and proof of Wilde’s great talent. They have a lovely mixture of the playful and the profound; even though they’re witty and enjoyable, there’s always a little message there from Oscar. 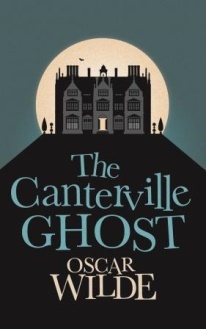 There is a subtle pathos in the plight of the Canterville ghost, and we can’t help but end up sympathising with him; Lord Arthur’s goodness overcomes all, and the story has a wonderful twist; and likewise the Sphinx of the last story has a touch of tragedy about her. These tales are beautifully written with telling little touches that give you the plot details without battering you over the head with them. Wonderful stuff from Wilde, and well done Hesperus for reprinting them and hopefully bringing them to a new audience. The second new Hesperus book comes with quite a pedigree, as it’s usually reckoned to be the first proper Gothic novel, which sparkled interest in the genre and was so popular it led to everything else that followed which featured spooky castles, noblewomen in peril, candles in dungeons, the whole works! And it’s surprising to realise that this genre has become so familiar and embedded in our cultural psyche that in some ways it’s hard not to read “Castle” as a parody of the Gothic – except that it came first! 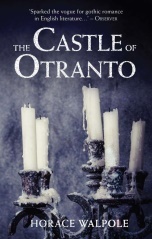 The House of Otranto is led by Manfred, who it is hinted from the start may not have come into his title and lands honourably. His sickly son Conrad is about to marry the beautiful Isabella when he is suddenly crushed by a giant helmet which somehow has come adrift from the statue of the good Alfonso, transported itself into the castle and squashed the heir! Manfred decides, as you do, that he’ll divorce his wife and marry Isabella himself, which causes great consternation amongst the local religious community, and to Manfred’s wife and daughter also! However, Isabella makes for the catacombs, aided by a handsome peasant called Theodore. There follows a frantic tale of knights in armour, love, deceit, lost heirs, heaving bosoms, giant limbs appearing around the castle, ghosts, ancient prophecies, portents of doom and Manfred’s madness. All is resolved eventually, but not before there is much drama and histrionics! It would be easy to mock “Castle” if read by modern standards (or maybe not, when you consider what tosh is published nowadays!) but actually it’s remarkably groundbreaking. Published in 1764, during a century when books tended to be much, MUCH longer, this is short, punchy and quick to read, and must have been very exciting for the public at the time. Instead of spending hours (and pages) introducing his characters, Walpole gets right on with the story, filling in the background details as he goes, never letting the excitement drop. The female characters are allowed plenty of space and are surprisingly feisty for the genre. There are plenty of hints at stifled desire and Walpole really packs a huge amount into 100 pages. If you’ve any interest at all in Gothic writings or spooky stories or dramatic deeds or feisty and fainting heroines, this is definitely for you!